Facetime for PC | Download Facetime App for Windows and Mac | Free Pc to Phone Calls, Free Voip Calls to India International ! If you are having an iPhone, iPod touch or iPad then I am sure you are enjoying the free video calling feature, that is the ultra cool app Facetime. I have been using it on my iPad and in my opinion its one of the best software in terms of quality for making video calls. I would certainly rate it higher than Skype and ooVoo in terms of call quality. It even gets better if you use the primary back camera. The only disadvantage with Facetime is that very less of my friends and family have an iOS device (iPod/iPad/iPhone) and thus I am not able to use this app much. In order to video chat with, I have to rely on other apps which are accessible to them. It would have been great if somehow my friends were also able download Facetime on PC and then we can video chat for free! The question is "Can anyone use Facetime on computer" ? Well FaceTime client for the Mac OS is available for download absolutely free of cost, thus allowing users to make video calls between any iOS devices or Macs running FaceTime. So, if you are having a Macbook then also you can use Facetime on Macintosh laptop. You can easily download Facetime on your Mac from "Mac store" and directly start making video calls. Here is a video presentation by steve jobs about the Facetime client for MAC PCs. But what about most of people who have windows (On your PC which can be Laptops/Desktop). What's with Facetime for Windows (Facetime for PC). As of today, there is no official way to use Facetime on Windows PC, that's bad news for windows users. Apple has this tendency to encapsulate every cool app and provide it to only Apple user's. No official Apple Facetime app is available for windows. In the past, Apple has discussed about making Facetime an open software and then it will work for windows as well. However till date this has not been the case. So for the time being, there's no way for someone using Windows to make a FaceTime call to someone using, for instance, an iOS device via the Facetime app. We have discussed in the past about how you can install the android based apps on your PC using the android emulator for PC. So, one conceptual way of getting facetime up and running on windows would be to install iOS based emulator on your windows laptop and then use Facetime client on it. I have digged a bit into this, though I found some tutorials and article on getting iOS emulator on PC, but most of them are quite complex and they failed to run Facetime client. In other words, I have still not found a working iOS emulator for windows which can run Facetime client. Is that all, No Facetime for PC. Well, what we currently have is Facetime alternative for PC and Windows. 1. Skype : Its a very well known, and widely used voip application. Skype works on Mac OS X, iOS, Windows, Android, Linux, and many other platforms. Skype has been popular for so long, its one application which everyone joins when trying voip! 2. Oovoo : It is also very good application, slowly and steadily getting more and more customers. It is also very widely used for video calls and video conference calls. Apart from normal video calling (quality is also good), it has features like Free Group Video Calling (which is just awesome, video chat with multiple people at same time). I just love this cool application! It works great on PC, iPhone, Android, iPad! 3. Yahoo Messenger : Yahoo application, works great on iPad/iPhone and PC users. I am sure many of you already might have used this app. 4. Tango : Tango offer video calling facility on smartphones like Android, iPhone, and on PC. 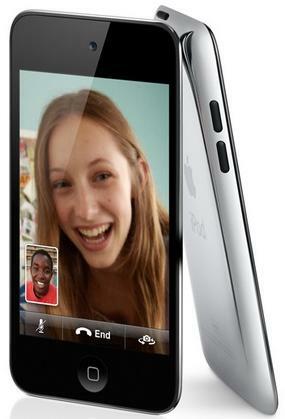 People can use Tango on their Pc to make video call to your friend using Tango on his mobile. Call quality is average. 5. Qik : Another video calling application for PC, and smartphones. It can also be used for making PC to Mobile Video Calls. 6. Voxox : Its again one of the best video calling application. It works pretty good for PC. One of good Facetime alternatives for PC. It offers Free Video Conferencing on PC. 7. Tango : This app has created a lot of buzz in the market from the time it was released. Its a multi platform application having apps for almost all platforms (Blackberry is the only pending item in their list). Its one of the best Facetime Alternatives! The list of Facetime for PC alternatives is quite large, so many video calling applications are in the market. I have not listed every option, but if you want any particular video call provider then please post it in the comments. We will include that in this list! Also, we will be keeping an eye on "Facetime PC Client for Windows Computer" official launch, so stay tuned for updates on it!